At Be Robin Hood, we believe that everyone has, whether we know it or not, an internal sense of purpose to better not only ourselves but those around us. This intrinsic motivation to offer a helping hand can produce a refined version of our personas, and give us a sense of purpose in life amongst many other things. Pursuing the new Robin Hood lifestyle, we continue to strive to create an online merchandise and accessory source that gives such a feeling when shopping for apparel. Below are just a few of the causes you are helping out with your purchases. 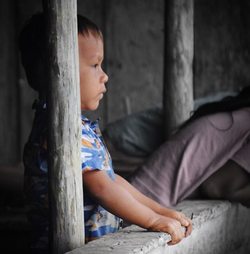 Founded in 2007 as a 501(c)(3) non-profit organization, the mission of the Angels of the Amazon (AoA) foundation is to provide aid to the 8,000 indigenous people living in the 12 communities in the Tahuayo River basin. The Tahuayo River is a modest tributary of the upper Amazon River, about 100 miles SSW of Iquitos, Peru. This is a very remote part of the world. Iquitos City is the world’s largest city which is not connected to any other city by road, being surrounded by impenetrable Amazon jungle. The outlying jungle communities, such as those of the Tahuayo River are even more remote from such benefits of civilization as health care, education and economic opportunity. Most people in these communities live a poor subsistence lifestyle. The sustainable aid and programs provided by the AoA foundation can be categorized into three major spheres which represent the basic needs of the indigenous people: medical and health care, educational assistance, and economic programs. 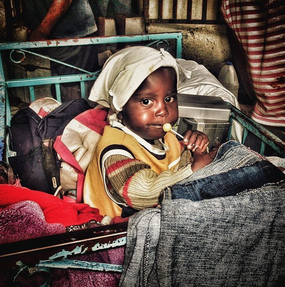 Impact for Jesus (IFJ) is a 501(c)(3) non-profit organization working with those in need to assist with a number of impoverished communities throughout Haiti. Through basics such as food, water, and shelter, to education and technical skill development, their hands on approach has directly provided for thousands of people in need - all with face-to-face love and care. As of this last September, enough money has been raised to get numerous children enrolled in school, plus additional months covered. A lot of these areas could be described as horribly dangerous only to house debatably the poorest of the poor. IFJ has provided the funds to have lunch feedings and helps to support the teacher’s salaries to allow the children of these areas to get an education. Many cracks have been filled in their lives by buying beds, paying rent for some of them to have a place to stay, medical needs, as well as individual needs. The list of issues continues, as these are only a a few categories that this group has been able to help out with. Funds are divided to assist with clean water, child sponsorship, education, feeding the hungry, and a soccer program. “We have made so, so much progress and the kids are really seeing what unconditional love looks like. On my last two trips I had all the kids come from wherever [they live] to have a big ‘family reunion.’ To see their excitement to see each other and to call us a family makes my heart sing. They have learned to check up on each other, have accountability to each other, and I am instilling honesty, integrity and to not tolerate lying or deceptive behavior.